Do you have a countertop and need some new seats for it? Why not choose a stool which fits in modern and traditional spaces with the Baruch-C Counter Stool? With solid wooden legs with a beautiful walnut finish and a top that has a lovely walnut veneer, this stool is stylish and sturdy. This strong stool gives you a lovely addition to your home that everyone will appreciate and notice. What is the counter stool seat height? The back height? The fabric? 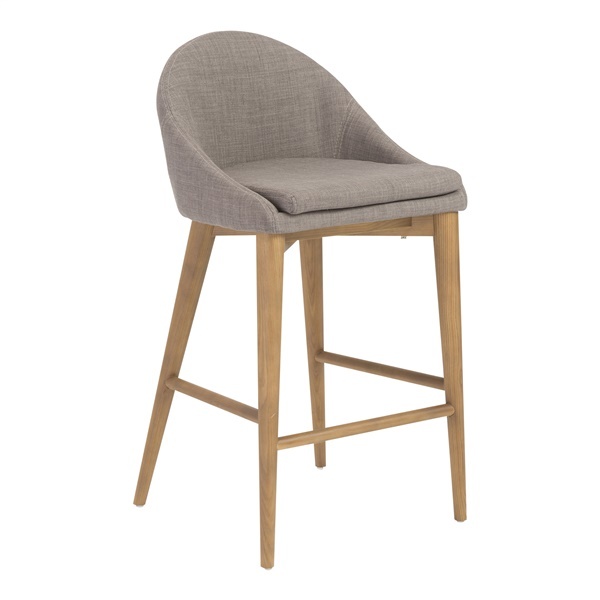 The Baruch-C Counter Stool seat height is 26". The overall height is 35.2". This stool is upholstered in a polyester fabric.